This months edition of Enlightened Journey will be addressing and taking a deeper look at a number of things that based on years of study, research and countless personal experiences I have come to personally believe are absolutely essential with regard to maximizing your results in life. We'll be mainly focused on what I and countless others around the world believe and have found to be a can't fail solution that will both enable and empower you to shield yourself from the adverse effects of the current economic unrest that so many are allowing themselves to be affected by on a global scale. 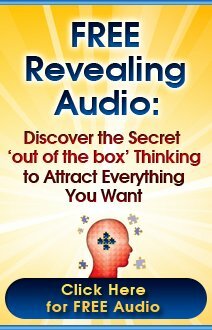 You'll discover (or in some cases be reminded of) some incredibly powerful insights as well as some practical application techniques that you can do individually to ensure that it's effects are minimal or even non-existent in your life. Although the subject matter focuses on minimizing or in many cases eliminating the effects that "appear" to be gripping so many, it's my hope that it will also provide some necessary clarifications that will enable and empower you to begin attracting "desired" outcomes in every area of your life not only financially, but physically, relationally, emotionally and spiritually as well. By now you may have heard about the recently released report that the consumer confidence index has hit a 40-year low. That has proven to be very disheartening and discouraging news for some. Why only for some? Because those who understand…who ”truly” understand that externals...what's going on around them in the physical world can’t effect them personally unless THEY choose to allow them to, don't allow even global recessions to disrupt what's going on within them. The result? Quite simply, they remain unaffected by it REGARDLESS of what IT is. They don’t allow anything, whether global recessions or any other event in the external world to disrupt or shake the “inner beingness” that determines without fail how each of our individual physical circumstances unfold in the various areas of their lives. Put another way they don't allow externals, regardless of the magnitude to effect the quality of their thinking. It's this small but extremely powerful distinction that once understood, embraced and "consciously utilized", that can and will make all the difference for you and determine without fail what can and cannot effect you individually. If you're one of the many millions who saw The Secret, you're already aware that this distinction has to do with consciously applying what the Secret teachers revealed which is now being called and has become widely known as The Law of Attraction. But....is that awareness providing the desired outcomes that you had hoped and envisioned that it would? If you’ll recall back in 2006 when the blockbuster movie ‘The Secret’ was first released, as news of it’s empowering message gained momentum and spread around the world, it provided a profoundly encouraging example of what's possible in anyone's life and ignited a spark of hope and promise for literally millions of people around the globe. It was the main topic of discussion in every personal development circle. It spread like wildfire as news of it made it's way through cyberspace and was even broadcast on national TV. Oprah Winfrey openly talked about it and even invited the teachers who were featured in it to her show, not once but twice. Larry King interviewed many of the teachers who were responsible for making The Secret production possible and also played a major role in making the world aware that such a thing as the Law of Attraction actually existed. You could literally feel the anticipation and excitement in the air as word spread and more and more people were introduced to it. The numbers of those who had never before even heard of such a thing as the Law of Attraction, snowballed and created quite a frenzy around the world. So, what does that have to do with what's going on today and how could that possibly assist you personally to remain shielded and unaffected by an event that is affecting so many? To answer that, let's come back to the present and take a deeper look at what's transpired since the announcement of what was labeled as "The Secret", take a deeper look at what's happening now and how you might better utilize the message that was introduced to begin attracting and creating more of the things that you desire for yourself. How Has 'The Secret' Impacted Your Life? With the recent turn of events that have transpired which have escalated into what's now being experienced as economic unrest globally, an event that so many are "allowing" themselves to be adversely effected by, it seems that the dramatically increased levels of excitement and optimism that were spawned amongst those who were introduced to The Secret, has all but been replaced and maybe even surpassed by even greater levels of fear, doubt, worry and discontent. Although when The Secret movie and book were first released, they hit the top of the charts in both DVD and book sales, I'm fairly certain that many of the people who were exposed to and made aware of it, aren't grabbing their favorite beverage, kicking back in their recliner chairs and waiting for some magic genie to pop large amounts of money in their bank accounts. 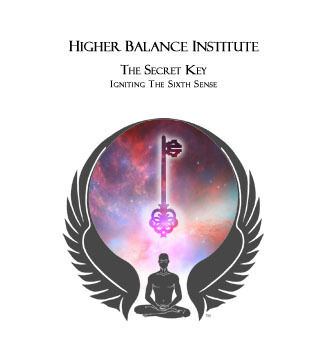 Although many have experienced what could be considered miraculous results by correctly applying the principles revealed, many more have fallen back into their habitual way of doing things and as a result have never personally experienced the life changing benefits that applying the principles revealed in The Secret can and do provide. So what happened? How is it that such a powerful and promising production that touched and encouraged millions around the world, could leave so many of those who were exposed to and became so excited by it, so vulnerable and adversely effected by the current financial dilemma? In the wake of the current economic climate, is it possible that the message that "The Secret" conveyed is just a bunch of woo woo esoteric nonsense and totally irrelevant? You might even be one of many who is wondering if The Law of Attraction is real at all and if it is why it didn't or doesn't seem to work for you. Your Individual Perceptions With Regard To Your Life Mean Absolutely EVERYTHING!! There's actually 2 parts to that answer. The first part of the answer is that it depends upon what you “perceived“ the message of The Secret to be. More specifically, it depends on what you "perceived" your individual role to be to ensure that the outcomes that you envisioned and hoped to achieve through it's use were realized. If you thought that "The Secret" was going to provide you with the “Magic Wand” that you could just wave and manifest all the “material things” that your heart desired by comfortably kicking back into your recliner, closing your eyes and visualizing them into being, then yes you may have discovered that it doesn't work for you. In fact you might even consider The Law of Attraction to be some woo woo esoteric nonsense and something that not only "didn't and isn't working" for you, but more than likely doesn't work for others either. That would be not only an inaccurate but an unfortunate assumption. But if that's what you perceived, you not only missed the “real” message that was intended to be conveyed, but the results you're more than likely experiencing currently, aren't and never will reflect the promise or the power behind it that is and always has been available to you. BUT...regardless of what you might be experiencing personally, it's NOT because the Law of Attraction isn't real, it's only due to the message that you may have "perceived" it was conveying and the actions you took or didn't take as a result to ensure that it worked for you. The fact is, regardless of your perception and the results you might be experiencing, the Law of Attraction is ALWAYS working and delivering to you outcomes that harmonize perfectly with your internal beingness and the results that you're receiving are a direct reflection of that way of being. On the other hand, if you DID grasp the underlying message that the Secret was REALLY attempting to convey, as many did, the fact that everything you see going on in your individual life is a direct reflection of what’s going on within yourself, and you’ve since made the choice to further develop and correctly apply that understanding, you’ll also know and be personally experiencing the power that's been made available to you. You'll also clearly understand that what is going on currently can have absolutely no effect on your life nor your disposition. In fact as many are experiencing, it’s even possible to thrive in the current economic climate regardless of what “appears” to be going on in the world around them...regardless of what others might be "perceiving" and as a result experiencing or what the naysayers might be broadcasting on the airwaves every minute of everyday through the predominant media venues regarding the current turn of events. Don't misunderstand...I'm not denying that economic unrest isn't being experienced. I'm also not denying that countless lives around the world are being effected by it. I know from personal experience what that's like, and I have heartfelt empathy for these who are "unknowingly" allowing it to affect them fully believing that there's nothing they can do to stop it. But...what I am saying is that regardless of ALL those things, regardless of how "real" it seems, who is being impacted or how widespread the effects "appear" to be reaching, none of them REALLY matter for you individually UNLESS YOU allow them to matter. What I am saying is that you can shift those effects any time that you choose. What does that mean exactly? Simply this...the ONLY thing that should be focused on is what REALLY matters and making the necessary adjustments as things are discovered that are disharmonious with producing the results that you desire to experience. So...let's take a look at those things that REALLY DO matter. What REALLY matters and is determining what you are experiencing is what YOU believe. What REALLY matters is your individual perception with regard to what is going on in the world around you and what choices YOU are making or not making that determines how those things are or aren't effecting you personally. What really matters and determines that "perception" is what you are consistently allowing yourself to be exposed to, are buying into and developing or further solidifying your “beliefs” about. The ONLY thing that REALLY matters is what choices you've made or haven't made with regard to examining and becoming consciously aware of the underlying beliefs that you hold...beliefs that you've acquired throughout your life which are enabling you to be affected or unaffected by the current events which may be holding you back and keeping you from or allowing you to experience all the abundance and plenty that is and always has been available to you. What does all that have to do with The Secret? Plenty...and if you're one that hasn't yet experienced the "positive aspects" that the Law of Attraction can and will provide you individually, this clarification can and will make ALL the difference for you should you choose to accept and apply it. If you were one of millions who did watch The Secret, you were made aware that everything that happens in your life has to do with energy. More specifically that ALL things in their purest and most basic form...both the seen as well as the unseen are comprised of energy and exist in their various forms due to varying vibrations that this energy emits. Regardless if they're physical things that you can see and sense with the 5 physical senses or the unseen which are outside of your ability to observe and experience in a "physical sense" they are ALL made possible and exist as the result of energy. In other words it's this energy that serves as the building blocks for literally EVERYTHING in the Universe. You also discovered that what determines how things unfold in your life individually is dependent on the vibrational output or the resonance of the energy that you project through your emotional response system. If you'll recall, each of The Secret teachers placed strong emphasis on emotions. It was clearly conveyed that how you "feel" about something determines what energetic resonance that you're projecting and it's that resonance that determines without fail what you'll attract into your life. In other words the emotions that you allow yourself to experience, project a specific vibration determining the vibrational projection that you choose and depending on that projection, you'll attract additional energies that harmonize with the energy that is being projected which joins with additional energies of a vibrational match...transmutes from the unseen, metaphysical or spiritual realm and shows up in your physical world as the various events, conditions and circumstances that you experience in each and every area of your life. As powerful as visualizing is, unless the underlying belief harmonizes with what you are visualizing, and you are unable to get in a "feeling" place that harmonizes with already having what is being visualized, you can visualize for the next 3 months without stopping and never see any "tangible" results. Your thoughts, beliefs and emotions all play a major role collectively in determining your outcomes. They're all intricately interconnected. Your beliefs determine your predominant thought processes...Your thoughts regarding something determine what emotions are stirred...Your emotions affect and determine how you feel physically...how you feel determines what you are resonating and projecting...what you are projecting determines what you are attracting to yourself...what you attract shows up in your life...which further reinforces and solidifies the originally held belief that created the outcome to begin with. It's a continuous cycle. In fact it can be a vicious and seemingly inescapable cycle if you are and have been attracting things you DON'T want. If that's the case, it's important to understand that unless and until you become consciously aware of how and why it's producing these less than desirable results, and making a conscious and intentional choice to break this cycle, it's certain that you'll continue experiencing the same kind of results. Doing that begins by developing the understanding that your underlying beliefs determine what emotions you experience which in turn determines how you feel and ultimately determines what events, conditions and circumstances are showing up in your life. It's NOT nearly as complex as many perceive to discover why or how "undesired outcomes" can seem to be randomly showing up or how to shift and change those outcomes that you may be experiencing. If you "feel" badly about something it's due to a belief that you hold at some level which is drawing or attracting those outcomes to you. Visualization is a powerful tool to utilize IF you can do so and really feel as if the desired outcome is already here and that you're experiencing it in the present. This is where many fall short of "consciously enacting" the Law of Attraction in their lives even if they DO choose to visualize. For visualization to be effective and get you in the place of "feeling" as if you already have something in your possession, the underlying belief MUST harmonize with the visualization to attract the desired outcome. Visualizing can and does assist in changing those beliefs over time if done consistently, but visualizing in and of itself certainly isn't the most efficient or fastest way to do it and depending on the beliefs held can actually push what you are visualizing about away from you rather than attracting it to you. Because, there's an underlying process that many aren't consciously aware of that determines without fail what will be attracted to you and as a result experienced in your life. This process is happening at a "subconscious level" which serves as a continuous reminder that what you are seeing and experiencing currently in the physical is "real" and does what it was created to do which is to keep you safe based on the "external appearance" of what's going on around you. It is continuously at work to ensure that your currently held beliefs often formed by unpleasant experiences of the past aren't repeated in the future which triggers an electrochemical response in your brain, often referred to as a "fight or flight" response that keeps you in check. This fight or flight response projects a "fear based" resonance which draws more of what you fear to you and shows up in your life solidifying your perception regarding it's "realness." What is happening though, isn't necessarily "real" from a deeper perspective, but is only "perceived" as real due to your previously established individual perceptions and beliefs. If you are allowing undesirable past experiences or what you currently see with your physical eyes to dictate and determine how you "feel"...to create and stir emotions that make you "feel" badly, although that is a choice that you have every right to make, you’re going against and misusing the greatest power that you possess to change in your own life what it is that you’re seeing in the world around you and your future reality will harmonize perfectly with what YOU are choosing for yourself. So....no the message The Secret conveyed isn't irrelevant at all. 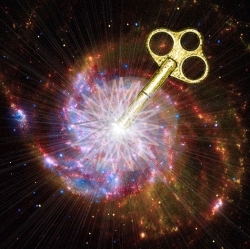 Although it may have been labeled with a new name...the Law of Attraction...the underlying power behind it has existed and has been fully operational since time itself began. The determining factor as to what you'll experience is determined by how you feel...what the Law of Attraction utilizes to discern what is attracted to you, which are determined by the beliefs and perceptions, both conscious and subconscious, that you hold. As timeless wisdom clearly conveys..."As you believe, so shall you receive." That wisdom substantiates and aligns perfectly with the message that the Secret conveyed. So...that addresses the 1st part of the answer which is no...the message The Secret conveyed is NOT esoteric nonsense unless you "perceived" the message to mean that all that was necessary was to close your eyes and "wish" things into your existence without having the underlying beliefs that aligned and harmonized with the desire. Which leads us into the second part of the answer that is equally important regarding what actions you took or didn't take to consciously initiate it's power. Did you take action to build upon and strengthen your ability to make the necessary internal shifts that would enable you to express only "positive emotions" regardless of what you saw going on around you in your immediate environment? 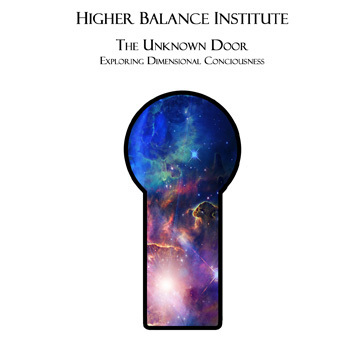 Did you make the choice to delve a little deeper into discovering a "Higher Truth" than you may have previously held and discover why you have the ability to mold and shape each area of your life? Did you elevate the level of belief that you have regarding what is possible or not possible for you individually? Granted the Secret showed people what was necessary to begin attracting desired outcomes to them, however further developing that understanding and strengthening your ability to use it consciously and consistently doesn’t just happen by simply closing your eyes and wishing it into being. It requires more than sitting down and watching a 90 minute presentation like The Secret. It takes a choice and a commitment on your part...to explore and discover knowledge and information that heightens and strengthens the level of "belief" that determines without fail what you'll experience personally. To effectively and consistently experience the power that The Secret message held in your life requires a choice. You can choose to learn and grow and strengthen your ability to attract desired outcomes or you can choose to remain where you are. You certainly don’t HAVE to make any choice at all which in reality is a choice to attract and experience the same results. Either way it’s a choice. No one can or is going to make those choices for you. You have been provided an inalienable right of free will to choose your own path. There is no right or wrong path only the one you choose which determines how each and every event, condition and circumstance in your external world will unfold. Although The Secret did a tremendous job of revealing and explaining a power that has existed since the beginning of time itself in a way that anyone could grasp, simply having an intellectual understanding of what is now being called The Law of Attraction, doesn't enable you to automatically reap the benefits that such a power provides without elevating your belief and harmonizing how you feel with what you desire to experience. It requires an expansion of awareness...developing a deeper understanding and making the necessary internal shifts that make it work for you consistently. It's about consciously, intentionally and consistently directing your focus toward what you "desire" to experience combined with a willingness to enhance and strengthen the inner power that you possess to mold and shape your life experience and choosing to elevate and shift the internal beliefs that without fail draw those results to you. The Law of Attraction doesn't rest. It's always at work. It doesn't work for some and not for others. It's power is distributed and readily available to ALL equally. It doesn't make any judgments or distinctions for you with regard to what's possible or not possible for you or what you attract. Although the Law of Attraction is ALWAYS at work, here's why many "perceive" that it isn't working or that it doesn't work for them. In a nutshell, it's because they don't have a conscious awareness with regard to how it works, a willingness to expand their understanding of it or the willingness to make the necessary changes within themselves to ensure that it does so in a way that delivers "desired" outcomes. If you choose to buy into what’s going on around you, to allow the "physical appearance of things to determine and dictate how you "feel", what is going on around you is what you’ll continue to attract and experience. On the other hand, if you'll simply choose to develop the ability to “go within”, become consciously aware of and shift the underlying beliefs and perceptions that are keeping your desires from you, which in essence is creating the “inner beingness” that harmonizes with what you’d like to see happening in your external world, that is exactly what you’ll begin to experience. As spiritual text clearly states..."Faith is the substance of things hoped for, the evidence of things not seen." It's simply a matter of learning to stop allowing what you see with your "physical eyes" to effect how you feel and developing the ability to harmonize your beliefs, visualize the "desired" outcome all the while depending only on the "internal picture" that you are creating in your "mind's eye" which serves to create the emotions that will attract it so you'll see it with your "physical eyes." That's not to say that you won't ever encounter challenges or difficulty in your life. As great as you might think that would be, a life without challenges or obstacles of any kind would, whether you believe it or not, would be an extremely boring existence. Personal growth would be none existent and you'd be robbed of the ability to grow, develop and fully experience life which is why each of us is here. Although challenges in life are inevitable, it's how you choose to respond to those challenges that determine what kind of grasp and effect they'll have on you individually and for how long. What's happening in the physical world around you isn't a factor unless YOU make the unfortunate choice of allowing it to be. If you choose to allow what you can see and feel and touch and taste and hear with the limitations of the 5 physical senses, to dominate and paralyze you, to lock you up in fear, you are choosing to ignore and give up the real power that you...the "real you" has been provided to consciously create whatever it is that you desire. Attraction and creation are constant. You couldn't stop them if you wanted to. The determining factor as to what you're attracting and experiencing personally, depends on which method you are choosing. Here's how the outside in method works. It is a choice to allow externals...what you can see going on around you in the physical world to determine how your emotional response system "reacts" which intensifies the attractive force of Law of Attraction which can only draw more of the same kinds of experiences that your reacting to. When you choose to continually allow what you "perceive" to be adverse external circumstances in your immediate environment to dominate how you feel, you'll continue in that cycle unless and until you learn the lesson that you were intended to gain. Granted, it can be a vicious cycle to break free from, but it certainly can be and is being done by those who make a conscious choice to do so. It's all about your individual choices. Then there's a much more empowering, rewarding and simple way of doing things, which is the inside out method. This is the way that the Secret teachers were attempting to convey that enables you to experience "desired" results by "feeling" what it would be like to have them prior to having them. The inside out method is quite simply observing and accepting things as they are currently without making judgments which is what allows your emotional response system to ignite and get out of your control. Choosing to accept and allow things to be OK just the way they are, without allowing any adverse emotional reaction to flair up, and continuing to move on with your life, envisioning the "desired" outcomes, doing the best you can to produce those desired results in the best way you know how, will enable you to transcend where so many who choose otherwise, remain unnecessarily stuck and continually attracting "undesired outcomes" for far longer than necessary. When you learn to consistently do that you'll begin to witness and experience the limitless power available to you that is experienced by developing your ability to create your individual reality from the inside out. That becomes very evident and obvious when events like the current economic conditions surface and the mass numbers who allow themselves to be affected by it. What most choose to do during times like these, whether it be economic unrest or any other "undesirable outcome, is look for a reason or cause that they believe exists outside of themselves. They point the finger, blame someone or some thing, and choose to dwell on how "bad" things are. They choose to dwell and focus on fear based thinking, worrying about how it is going to effect them individually and what new challenge or disaster tomorrow might bring into their lives. What does that do? Causes those who choose that path to "feel" badly. To ignite and experience emotions based on what "appears" as real and that are disharmonious with attracting the "good things" they desire which only serve to attract more of the "bad." One a broader scale, that way of doing things can and does only serve to fuel and intensify the power that the "collective consciousness" has which only serves to intensify and escalate the current "undesired" conditions globally. In essence, it places focus on and fuels the attraction of what is NOT desired rather than placing focus on what IS desired. As it relates to you and your "personal experience", choosing to place focus on what's wrong or bad economically or otherwise, is a futile attempt to change what is appearing and "perceived" as real, to what is "truly" possible for and available to you individually which enables you to begin attracting and experiencing something else. Granted, you can't single handedly change the entire world economically or otherwise. The mass consciousness...what I call the "collective consciousness" of the planet is far more powerful than yours individually. If you DO have the mind power to shift the consciousness of 6,000,000,000 plus (six billion) people, please give me call, I'd like to meet you. Although you can't change the world individually, you can change your individual world and what is experienced in it by changing YOUR mind...more specifically the internal picture that you have and the perceptions that you hold regarding your world. Doing so from a place of acceptance, absent judgment enables you to remain in a place of calm and what is attracted to you will harmonize with your chosen state of being and enable you to begin effortlessly attracting whatever it might be that you have a desire to experience. Allow me to clarify what I mean by "effortlessly attracting"...I don't want you headed back to the recliner just yet. When I say "effortless attraction" I DON'T mean that no action on your part is necessary. What I DO mean is that once you develop the ability to control what's going on inside...meaning gaining "conscious control" of your emotional response system and develop your ability to consciously and consistently focus on desired outcomes, the people, ideas, resources and circumstances to fulfill your desired outcomes will be attracted to you. Your participation is and always will be required, but when you attract rather than chase the ways and means, they'll ALWAYS "feel" good and will produce INCREDIBLE results. It's simply a matter of consciously choosing to keep your ATTENTION on what YOU desire and keeping your focus OFF of what you don't. Your attention combined with how you choose to utilize your emotional response system serves as your communication device to Source, whatever you might perceive Source to be and Source will ALWAYS deliver just as you choose. A choice to keep your ATTENTION on how "bad" things are is stating your INTENTION to Source and is what you'll continue to attract and receive...without fail. The Law of Attraction doesn't care or discern WHICH you choose, it only acts as a faithful servant to deliver WHAT you choose. If it’s your choice to continue to get and experience the kind of results that the majority does, then by all means that’s the way to do it. Just keep focusing on what you DON'T want as the majority does. But, if you’d rather get and begin experiencing the kind of results that only a small minority do, results that are literally "Infinite" in nature, the inside out route is “the best” path to take. Here's a little more depth as to how the inside out and the outside in approach work and what you can do to begin "consciously" and consistently attracting the "good things" that you desire to experience. 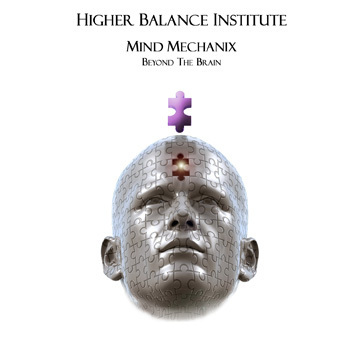 The inside out approach is achieved by delving in, carefully observing and becoming conscious of the predominant internal thought processes that are continuously running through your mind. It begins by developing the awareness that they do so as a result of your "beliefs." 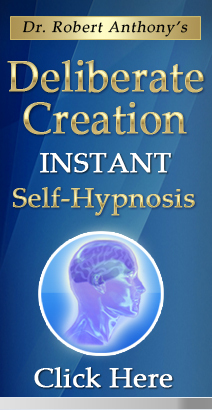 Becoming consciously aware of these thoughts assists in revealing the underlying beliefs that are stirring the emotions that are attracting and creating your external results. Once you become aware or conscious of what these beliefs are, it provides you with a starting point and you can, if necessary take the necessary actions to shift or elevate those beliefs and begin personally experiencing what it means to begin "consciously and intentionally attracting" the outcomes you desire. The inside out method is simply becoming conscious of your current thoughts, consciously choosing your future thoughts, changing the beliefs and perceptions you hold that conflict with attracting your "desired" outcomes and developing beliefs and perceptions that align and harmonize with those desired outcomes. The outside in method is choosing to remain oblivious to or "unconscious" of how your circumstances in life are coming about and as they show up, continually searching for and chasing the answers and solutions on the outside and in essence attempting to change things at the "physical level." It's an attempt to shift what is being seen and experienced in your physical world strictly through your "physical" effort. Although that is a choice that all have the right and the ability to make, and does produce results, the results are mediocre at best and it ALWAYS proves to be a very limiting and often times draining and depleting way to achieve them. This way will ALWAYS leave you wanting and chasing more and NEVER enable you to experience the harmony and fulfillment that is available to you. The inside out approach is responding and consciously creating...the outside in approach is reacting and allowing what are "perceived" as random circumstances to occur that you consistently have to "fix." Consciously responding at the level of cause, which is aligning your beliefs with your desires will always produce far greater results than will attempting to react to and change what is already physical. There is no right or wrong way, no judgments as to which you choose, only the way that you choose. That choice is a major one because it does and will continue to determine how big or small your results are 100% of the time without fail as well as the level of individual physical effort that's required to produce them. Take out a piece of paper and write the words "lack and limitation" on it. Now go hold that piece of paper in front of a mirror. What do you see? The answer is obvious isn't it? The reflection you get back harmonizes perfectly and reflects back to you what you wrote and projected toward the mirror. Next write abundance and plenty on a piece of paper, hold it in front of the mirror and see what is reflected back at you. Again it's obvious. It's no different in your life. The words you wrote represent the internal beliefs that you are choosing. Those beliefs ignite and are projected through your emotional response system. The Universe provides, or reflects back to you, without fail or judgment precisely what you project just as the mirror did. Just as the mirror says yes and reflects back at you what you project toward it, The Universe, God or whatever YOU perceive Source to be ALWAYS says yes and provides you precisely as you ask. You only need to become conscious of what you are asking for!! Point being is that you can't hope or expect to send out a message of lack and limitation and expect to receive outcomes that harmonize with abundance and plenty. The thoughts that you choose to you think, the perceptions you hold, the beliefs that you choose, and the emotions that you allow as a result, determine what you are projecting and without fail, you WILL receive precisely that. You can continue to attempt to overcome the physically existent lack and limitation through physical efforts if that's your choice. You can get a second job, work more hours or a number of other things. Depending on the amount of physical effort you choose, you will see results, but they are and always will be very limited and hard earned results compared to what's "truly" available to and for you. Or, the far more simple way is to develop the internal beingness that harmonizes with your desires and you'll begin attracting the ways and means in the way of people, events, circumstances and ideas that allow for those desires to show up in ways that require FAR LESS effort while producing FAR GREATER results...in many cases MIRACULOUS results. There's no need to undo or "fix" anything with the inside out approach. It is created as envisioned and shows up just as you "believe" it will. Although both ways take some "doingness" on your part, the inside out approach requires far less "physical" effort and produces far greater and more pleasing results. As I have ALWAYS shared…there is no untruth. Whatever you “perceive” truth to be is projected out and will be mirrored back at you precisely as you “perceive and believe” that it will in your external world. Whatever is truth for you inside will be reflected back and become your truth outside and that is precisely what you’ll experience. Put another way, what you "know" to be true with regard to the economy or ANY other area of your life and choose to allow adverse emotions to ignite, that will become your individual experience and continue to be unless and until YOU change how you "feel" about it. To elevate your physical experience is as simple as elevating what you believe and "perceive" to be true. Choosing to focus on how “bad” things are…choosing to think speak and act as if you’re somehow a victim of the current circumstances is in essence giving your power away and will enable you to be caught up in and remain affected by the current economic circumstances. Your choice to hold and project that "perception" will ensure that you receive outcomes that harmonize perfectly with it. As we touched on earlier, what you choose to put out there is reflected back at you. On the other hand, choosing to discover and develop the understanding of who and what you “truly” are, choosing to "consciously utilize the limitless power that has been provided to you, will enable you to begin “consciously creating” your world in the way that “you choose” to perceive, envision and as a result will, WITHOUT FAIL experience. When you can develop the ability to remain calm, at peace, content and assured on the inside, regardless of what you see with your physical eyes on the outside, and have a clearly defined objective that you'd like to accomplish in your MIND'S EYE, what your "physical eyes" begin to see on the outside will begin to change and in ways that MOST would "perceive" to be "illogical" or impossible. The message that The Secret introduced to the world regarding the Law of Attraction wasn’t some fad…it wasn’t some flash in the pan. Although the name The Law of Attraction may be fairly new, it is a Universal Law that like all Universal Laws has ALWAYS existed. It was and still is something that can be easily discovered, verified, understood and effectively utilized by choosing to take a deep enough look into what some of the oldest and most insightful spiritual texts and teachings have conveyed for thousands of years which are easily accessible and readily available to everyone. It can be easily discovered, grasped and understood by choosing to explore the recent discoveries made by the new science which further supports and aligns perfectly with the message that the greatest spiritual teachers in the history of the world taught and conveyed to their followers and have been written about and left for us in those spiritual texts. But to do so…to discover and to put it to use consciously and consistently does require some discipline and doingness on your part. THAT is an inescapable truth. To personally experience the power behind it requires a “renewing of your mind” as one popular spiritual text puts it. This renewing of your mind boils down to changing the way you look at things which changes how you "feel" about things which changes what you attract to you which changes the physical outcomes that are experienced. We live in a "I want it NOW" world. We have convenience stores, fast food restaurants, 1 hour photo shops, lightening fast internet connections, etc. etc. Developing life transforming insight and understanding isn't achieved by pulling up to a drive up window, ordering it and driving off into a world of bliss and promise with your newfound understanding. Sure there are transcendental experiences that people have, experiences that can provide an immediate, profound and unexplainable glimpse of what's truly possible providing a profound sense of assurance...a sense of unshakable inner knowing, but even in those situations it requires additional discipline and action on your part to grow and develop further. Expecting to instantly change what you have developed conflicting and disharmonious beliefs and perceptions about for years and expecting different results immediately by simply closing your eyes and wishing them into existence without some intentional and focused effort on your part to change them is pie in the sky thinking. To shift the conscious and subconscious beliefs that you've developed over the course of your life which are 100% responsible for each and every event, condition and circumstance in your life requires some discipline and doing on your part. It requires both a choice and a commitment. It’s not so much a learning as it is an unlearning of the accepted “truth” that so many have allowed, bought into and “perceive” to be reality based on traditionally established “false beliefs”, many of which have been handed down for generations. It’s about becoming "conscious of" the necessity to take responsibility for your own existence and not allowing others to continue to program you with the same self limiting and self sabotaging beliefs that the majority hold which is why the majority are being adversely effected by the current economic climate. Quite simply it’s about choosing to become an independent thinker, making a firm and unwavering commitment and then taking the initiative to discover and discern a "Higher Truth" for yourself rather than taking at face value and believing what everybody has told you is true. That's precisely what the majority does and that's precisely why the majority continues to experience the same mediocre results that they do even in a robust economy. What so many claim to be “reasonable“ or “logical” or “possible” or “feasible” in today’s world fail to grasp that those limitations are only determined and experienced in their lives because that is precisely what they choose to believe. Your personal experience in life cannot and will not EVER exceed your belief. It can’t. It would make what the greatest and most insightful teachers in the history of the world taught, wrong…it would violate EVERY law of nature…it would debunk what some of the greatest minds in the scientific world have recently discovered. In other words, to paraphrase it in today’s language..."Believing one thing and expecting an outcome that conflicts with what you perceive and believe ain’t gonna happen." By making a "conscious and intentional" choice to do so, you’ll discover and begin to experience the physical outcomes that harmonize perfectly with that choice. It NEVER fails. It NEVER has and It NEVER will. "As you believe you WILL receive." Although I can't know where you are personally in your understanding, whether you're just beginning or have been actively seeking greater understanding for years, a firm foundation to build that understanding upon is essential and will speed up your growth process exponentially with FAR fewer pitfalls (growth lessons) along the way. Discovering and strengthening your ability to consciously create desired outcomes doesn't happen randomly or accidentally and if provided with proven steps can assist you greatly as you progress. Having a firm and unshakable foundation to build upon can, not only speeds up the process exponentially but it also ensures that you are able to continue moving forward and consistently advancing in your growth process and experiencing the physical results that come with it. As I often share and will continue to, the best way to tap into a higher truth and experience the wholeness, peace and “infinite possibilities" that are and always have been available to you, as well as developing a profound sense of assurance and "inner knowing" for yourself regarding the unlimited potential available to you, is achieved through the art of meditation. Meditation actually serves many purposes at once. It enables you to become conscious of and quiet the consistent mind chatter that is shaped by your deepest beliefs. It enables you to tap into a place of indescribable peace and calm that transcends common “human logic”...to expand your awareness...to tap into and discover a “Higher Truth” for yourself. It enables you to transcend and rise above the matrix of the collective consciousness and see things as they truly are without depending on anything or anyone external to you. It enables you to develop an unshakable "inner knowing" of the "Infinite" possibilities that are and always have been available to you, me and everyone else who simply makes a conscious choice to tap into, discover and experience it for themselves. One thing that, I as well a number of others I've worked with over the years have discovered during our own growth processes, is how difficult it can sometimes be to get your "inner game" finely tuned so you can actually start achieving and experiencing what you want in life. Sure, we can set goals, set our intentions high and all that, but somehow you just seem to lose focus before you're able to get there. It's kind of like the doubts start creeping in prior to seeing them come to fruition. Meditation can assist IMMENSELY in that area as well, providing the inner assurance that keeps you laser focused on seeing your visions through till they're being experienced in your life. In addition to the immense INTERNAL benefits, meditation has also been scientifically proven to provide numerous health benefits , not the least of which is initiating a significant reduction in the harmful effects of stress and countless others, the list of which is far too long to mention here. But, like everything else, to experience the transformational benefits that meditation provides, both physically and spiritually is a choice that only you can make for yourself. There are a number of traditional meditation techniques, some of which take years to master. In my personal experience, I've experimented with various forms some of which I found difficult or required more time than I personally had available and others that for whatever reason provided no benefit for me personally at all. Then I discovered one that provided tremendous results that required only 20 minutes per day that actually exceeded the benefits that it's creator, Eric Pepin claimed that it would. In fact, as I've since discovered, it's exceeded the expectations of many who have discovered, utilized and benefited from it's use. The Foundation Guided Meditation System to be the simplest, fastest and most effective meditation system ever created for achieving profound results in a fraction of the time that traditional meditation techniques require and provided in days what many techniques take years to achieve. 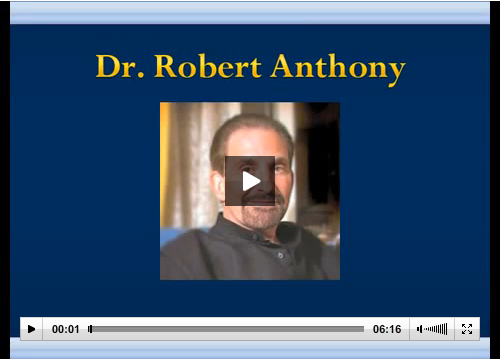 The Foundation Guided Meditation System shows and guides you step by step, in as little as 20 minutes per day how to get quiet on the inside and enter into a place of deep calm, develop a sense of "inner knowing" and enables you to experience a profound sense of assurance that will greatly assist in attracting and creating the results that you desire on the outside. There are a great many educational systems available today that teach and provide the intellectual understanding with regard to how and why things in life turn out as they do. There are a number of incredible programs available that introduce and teach about the Universal Laws that govern every aspect of creation. 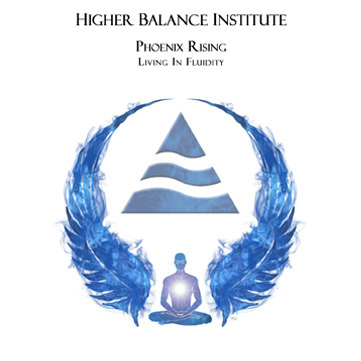 They teach about the new science of Quantum Physics which aligns and conveys in a "tangible" and easily relatable way, what ancient spiritual teachings have taught for thousands of years. As valuable and helpful as they are, and as much as I recommend that they are utilized at some point to further enhance both your intellectual understanding and your results, there are foundational steps that can and should be taken which provide far greater benefit initially, prior to solidifying an intellectual understanding, that time and again have proven to serve to provide an unshakable foundation for speeding up the growth process while at the same time providing a depth of understanding and assurance that transcends common human "logic." Meditation is one of those foundational steps. Meditation provides long term sustainable results that far exceed any intellectual understanding. It provides results that eliminate the need to depend on anyone or anything that is external to you for information, guidance or direction. Meditation enables you to tap into, fully grasp, develop and personally experience a deep and profound spiritual understanding that transcends and far exceeds what can be taught and conveyed by man. 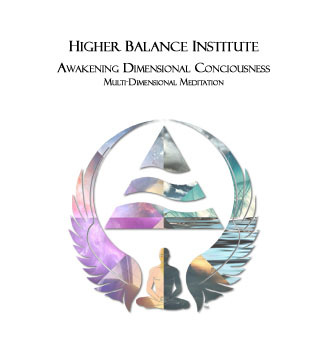 Meditation opens doorways of understanding and comprehension that far exceed human logic and enables you to transcend the matrix formed by the majority...what I choose to refer to as the "collective consciousness." Meditation provides a deeply impactful experience that can't be accurately described with the limitations of the human language and enables you to tap into and experience a sense of unshakable assurance, wholeness and completion. It's an encounter that, once you reach, touch and experience it for yourself, your life and your perspective will be changed forever. 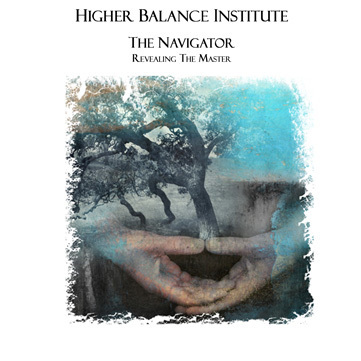 After many years of seeking elsewhere, that was my personal experience as well as the experience of countless others who chose that path for themselves, many of whom spent many years seeking as I had without finding the answers externally. That's why I choose to share my experience and strongly recommend The Foundation Guided Meditation System to everyone I encounter. So they might experience the same. Meditation not only provides a rock solid and unshakable foundation to build upon but also enables you to know and solidify your belief with regard to what's "truly" possible for you which is quite literally "infinite" in nature. But like anything else it requires a choice, a commitment and consistent action on your part to personally experience the benefits that it provides. But, as I and so many others have discovered, the 20 minutes per day required could prove to be one of the wisest and most beneficial choices you could ever make with regard to your evolution and provide results of a magnitude and within a time frame that no other form of meditation that I've personally tested could provide. It's enabled me and countless others to reach and touch a place that cannot be accurately described. Perhaps it will do the same for you, should you choose that path and allow it to. 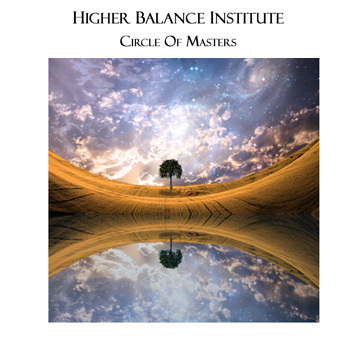 If you'd like to discover more about the Foundation Guided Meditation System, and determine how it might assist you in your growth process, these pages provide additional information and can answer any questions that you might have. Enlightened Journey Enterprises became a direct distributor for the Foundation System recently after launching the company in 2005 and since, has assisted many who chose to deepen their understanding. It's my hope that we can assist you as well, should you choose that path for yourself. Before closing I felt compelled to make some clarifications with regard to our company as well as the site Abundance-and-Happiness.com which we provide as a free resource to those who are attracted to it desiring to discover . Abundance-and-Happiness.com existed long before “The Secret” was created and although many companies jumped on the bandwagon to produce, promote and crank out products immediately after The Secret's release, “claiming” to have the “immediate answer” that would put the “Secret Message” on steroids, and often promising to provide "immediate" results without individual effort, not surprisingly, many of them have gone back into the shadows. The quick fixes and pie in the sky promises made by countless individuals was, as they always are, short lived. Enlightened Journey Enterprises is still here and will continue to be. Why? Because it’s our intention as well as our purpose to assist those with a desire and a willingness to grow. It’s what we set out and made a firm commitment to fulfill when Enlightened Journey Enterprises was founded in early 2005. It's why Enlightened Journey Enterprises was created in the first place and equally as important it's what we love and are passionate about doing. It’s not simply about making money and promoting products although we do. But the reason we do as well as why we're still here is because we provide value. It's our intention, focus, purpose, and our passion to assist, educate and awaken people to the "true power" that they hold. It has nothing to do with selling a product and EVERYTHING to do with contributing and providing something of value that will enable and empower those who cross our path to begin experiencing desired results. I've received a few e-mails recently that admittedly I initially found a bit upsetting, asking why we would lower our standards and "sell" products. Although I've addressed those e-mails individually and won't go into detail with regard to who they came from or the specific content, I would like to make the same clarifications here that I made to those who asked. We don’t market and sell products, we recommend and promote quality education. The kind of education that changes lives. The kind of education that you can’t get in any public school system. Like any company, it's necessary to generate income in order to continue in business and provide the level of contribution that we do to people from around the world. But, "selling people" things and generating income is NOT our primary focus. It's about doing everything within our power to assist you as well as a worldwide audience in becoming all that they have a desire to become, many of which don't believe they have what is required. It's both my passion as well as my purpose to do my best to provide knowledge, information and guidance to show them that they do. What I recommend to you, and every product recommended within the Abundance and Happiness portal, I have personally utilized and know first hand the transformational results that can and are being experienced through their use IF what they teach is applied. It's both my hope as well as my intention that whatever is recommended will serve and prove to be a valuable resource in your individual growth process as it has been in mine and that each might assist in shortening your path and enable you to discover the life transforming truths that have enabled countless thousands before you to reach and achieve their most heartfelt dreams and desires....to experience the fulfillment and sense of exhilaration that doing so can provide. That's what we do and will continue doing. If those recommendations and the few e-mails that we as a company send out somehow offend you personally, I would ask that you not remain a part of this community. I won't allow the perceptions or opinions of a few to sway or deter me from contributing to and serving many. I can only trust that my expressing those sentiments openly won't come across as gruff or unreasonable to those of you who it doesn't pertain to. Even I can become a bit testy when my integrity and purpose is questioned by those who have no clue what I'm "truly" about or what I stand for. I will continue to introduce, recommend, and distribute products and services that I believe will provide value and results for those that choose to utilize them. The Foundation Guided Meditation System is one of those products that I'm both proud and honored to say that we have the ability to distribute and provide to those around the world who choose it for themselves. Should you decide that meditation is a path that you're ready for, the Foundation Guided Meditation System would be my personal recommendation and comes with an Unconditional Satisfaction Guarantee should you choose to try it and decide that it isn't for you. The Foundation system also comes with a FREE lifetime replacement guarantee to ensure that it provides benefit for years to come. I felt it was important to make that clarification, for any who might "perceive" the same thing that those who e-mailed did, but who for whatever reason may not have written in. I believe it's an extremely important distinction to make openly, as well as express my personal feelings and opinions, so thank you in advance for listening and allowing me to do so here. It's done with all the best intentions and with no judgment or animosity toward those who expressed and conveyed their individual perceptions. How do you transcend and remain unaffected by the current economic climate as well as enhance EVERY aspect of your life? Become consciously aware of the underlying thoughts and beliefs that are molding and shaping your life...identify those that are conflicting with your desired outcomes...enhance or elevate those beliefs...Change your mind...shift your focus...consistently quiet your mind through "some form" of meditation... and take the inspired actions received that will enable you to tap into and personally experience a profound sense of assurance and inner knowing that will both enable and empower you to experience first hand the power and limitless potential that is and always has been available and freely provided to you. The results you'll experience will be limited only by the level of belief that you choose for yourself with potential and possibilities are quite literally "Infinite" in nature. Now...go claim yours, you deserve it. In fact...it's your birthright. I truly hope that you'll make a conscious choice to absorb and apply what you've discovered (or been reminded of) this month and your life will reflect, without fail, your most cherished and heartfelt desires that are and always have been available to you. It's also my hope that you've found this months newsletter beneficial, enlightening and most of all empowering and that it might assist you in discovering who and what you "truly" are and using that knowledge that resonates with you to become all that you have the ability and desire to become. Copyright © 2008 - Issue #29 of the Enlightened Journey Ezine is copyright protected and the intellectual property of Chuck Danes and Enlightened Journey Enterprises. Copy and/or reproduction in any form either in whole or in part is strictly prohibited without the express written consent of the author and/or Enlightened Journey Enterprises. All rights reserved worldwide.